Are there any savoury foods that don’t taste better with pesto? And pesto with olives? Not something I am ever likely to pass up. Today I had some leftover bread dough sitting in a bowl that needed a purpose. 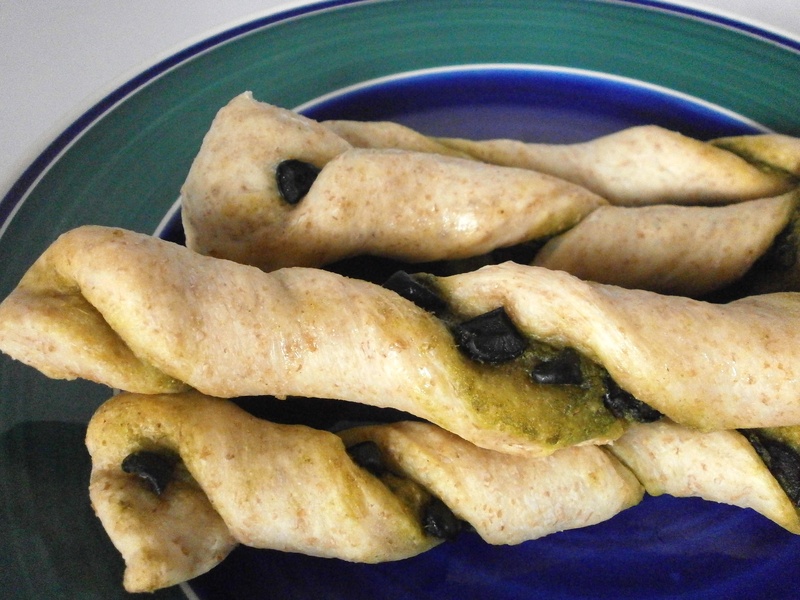 It was ever so easy to cut it into bread sticks, top the dough with cilantro pesto sauce and olives, and twist the dough strips just before baking. While everyone else was eating their ice cream for dessert, I finished off the remaining couple of bread twists, dipping them in more pesto and marinara sauce. Next time I may top some of them with cheese for the dairy lovers at the table. Or maybe not, since I might miss out on my twisty extra helpings. Preheat oven to 350 degrees F (180 C). Gently stretch or roll dough out into a rectangle on a lightly greased surface. Cut dough into 1-inch (2.5 cm) strips. Top each strip with pesto sauce and olives. Carefully twist strips, making an effort not to lose the toppings. 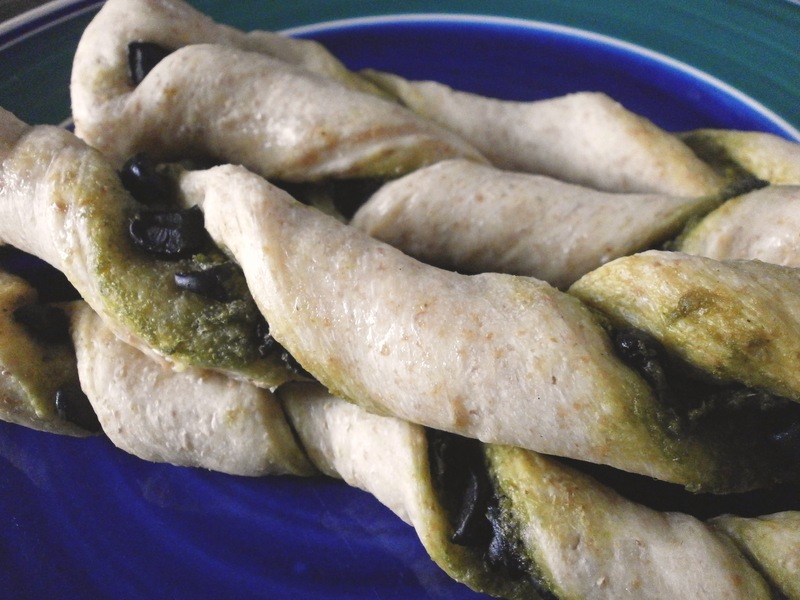 Place twists on a greased baking sheet and bake for 10 minutes or until light golden in color. Brush with margarine or olive oil and serve warm. I’ve linked this to Tuesday Talent Show.